A comprehensive range of Fixed Castors with Nylon Wheels. 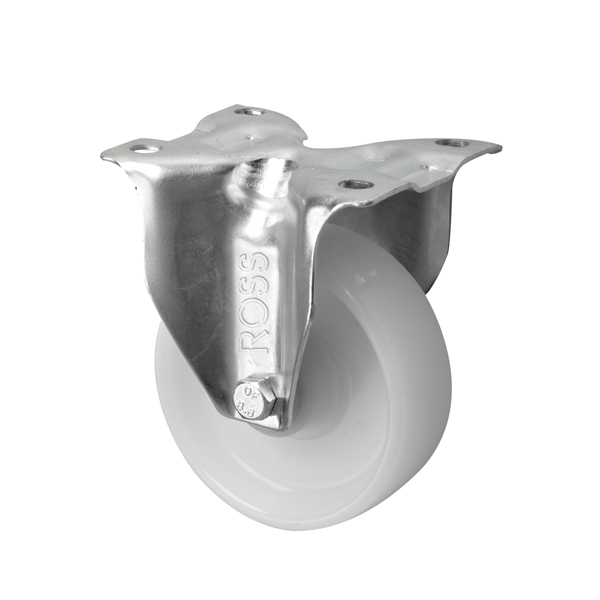 Choose from 3 different Series of Fixed Wheel Castors, from our 2260 Series, our 3360 Series and our 5000 Series. The budget 2260 Fixed Castors are for every day applications, the 3360 fixed Castors are more durable and can take greater loads. Our heavy duty 5000 series of fixed castors are capable of taking loads up to 800kg each.